Address: Suite 211, 2nd Floor Eden Heights 6 Main Jail Road Gulberg, lahore-Pakistan. Azure being Latin for a stone which through its beauty to strength, strength to movement and movement to mystery manifests natures unbound creativity became our inspiration. We just try to bring depth to it! 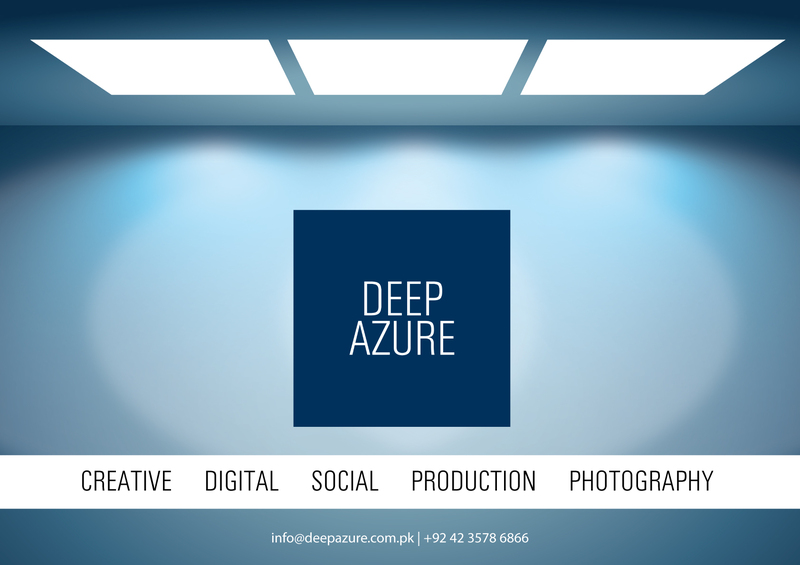 Saying that we at Deep Azure creative arts believe that creativity is not bound just for the creatives but we exercise it every aspect of our services. That is what makes us stand apart from all those advertising agencies and design houses. Deep Azure creative arts truly shows its strokes of creativity whether its your image building or the strategy how to make your image a cult status!